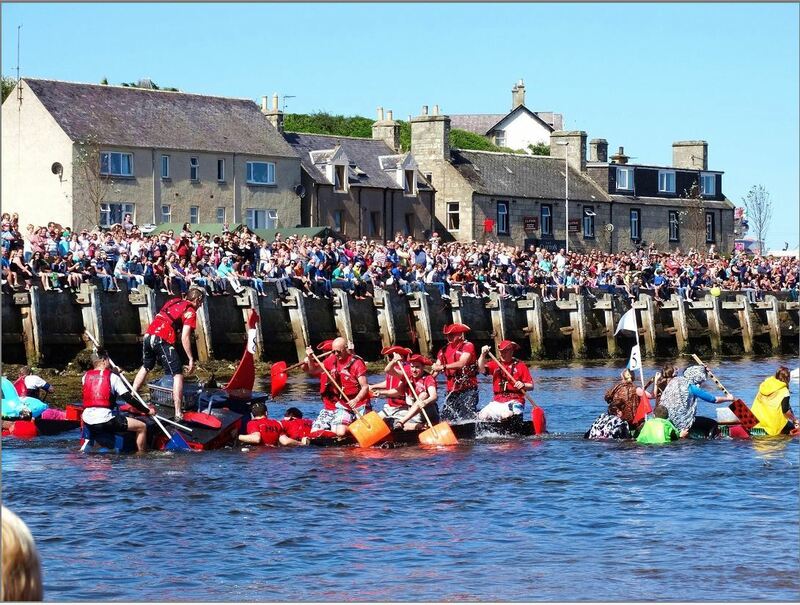 The annual Lossiemouth Raft Race will take place on Sunday, August 2, and teams are being asked to come up with a Battle of Britain theme to mark its 75th anniversary. RAF Lossiemouth and Moray Council are once again working together on the popular event. Prizes will be awarded for the best team costume and best raft as well as to the race winners – who will get the famous toilet seat trophy. Flight Lieutenant Ollie Harbridge is coordinating the organising team, he said: “The Lossiemouth Raft Race is a well-known and well-loved event in the calendar for us and this year I hope it will be bigger than ever. “As usual we expect a strong team from The Steamboat Inn and from RAF Lossiemouth. Flt Lt Harbridge is also encouraging groups and businesses interested in providing stalls or entertainment for the day to get in touch with the organisers. For more information go to the events page on the RAF Lossiemouth web site, or contact SAC Craig Allen at Iiacsqn-foaor03@mod.uk about stalls, or Corporal Stu Paterson at los-lssmtflfuelsjnco03@mod.uk about team entries.